We’re heading to sunny California for Campus Safety West, August 9-10. 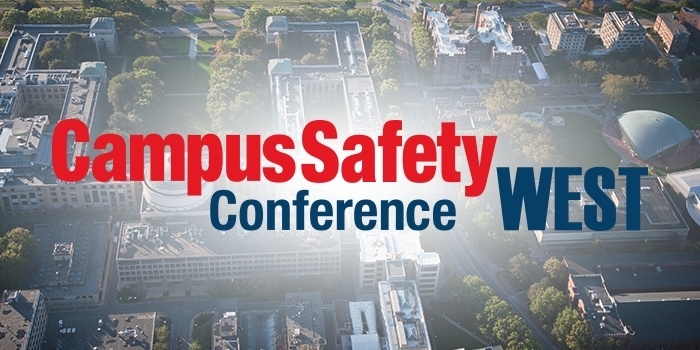 We’ll be rubbing shoulders with administrators, public safety officials, and security and law enforcement executives from all over the country discussing solutions for campus safety, security, emergency management and technology challenges. Attendees will hear from leading safety and security experts, develop strategies and tactics to reduce risk and improve response and learn first-hand about best practices and procedures for emergency response. The goal is for attendees to leave with the skills and resources needed to manage emergency situations, protect students and staff and prevent crises. Campus Safety West offers a terrific opportunity to learn from the best, and the timing couldn’t be better. With the new school year right around the corner, attendees can take what they learn and implement it on their campus. The conference offers training sessions, expert speakers, sessions and hot topic discussions. It’s also a chance to network with other safety leaders to understand the challenges they encounter and how they overcome them. Learn about these exciting features and more during the conference, and follow us on Twitter for more updates.